The regulation of dopamine plays an important role in mental and physical health. 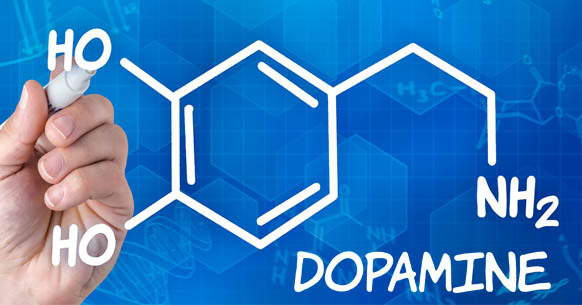 Dopamine is a catecholamine that acts as a hormone; you might know another as epinephrine or adrenaline. Catecholamines are released during stress. Stress can be a simple process of trying to learn a new task. Dopamine acts as a response to the Sympathetic Nervous System. The SNS increases heart rate, dilates eyes, and increases excitability. This is done is a certain area of the brain called the Limbic system. The Limbic system houses the Hypothalamus, Hippocampus and Amygdala which controls reward/ pleasure, emotions, motivation and some motor movement. The release of this hormone comes from the Hypothalamus. The Hippocampus contributes to its learning process. While the Amygdala primary role is in emotional learning and fear conditioning. If that’s not confusing enough, another way of looking at this process is the neurotransmitter or chemical messenger (dopamine) sends a signal across a nerve cell to help to control certain function of the brain. When a dog is stimulated with a pleasurable thing dopamine is released. This release creates a desire to keep doing this behavior, just like in Pavlov’s classical conditioning where he trained his dogs by ringing a bell and feeding multiple times. He noticed the dogs starting to salivate with just the ringing of a bell. The bell signaled a release of dopamine in anticipation of a pleasurable thing. Here is a personal example of the dopamine response. I’ve been taking my Mcnabb to learn how to herd sheep. No food is used during any of the lesson. At first, she didn’t understand her duties to herd, but with praise she began to figure it out. I saw her ears go up and tail start to wag after each verbal reward. Now when I drive into the lot she starts crying with excitement. The response to dopamine is creating a pleasurable experience for her and sheep herding. I don’t recommend praise rewarding on a young puppy. My dog is six and understands verbal cueing such as “yes” and “good girl” as a reward. This process of positive training is much quicker compared to other training method like negative reinforcement or dominance training ie: collar pull when training a dog to heel. Most dogs will resist, thus creating more anxiety and fear. And in turn, the dog doesn’t learn this to be a positive experience. 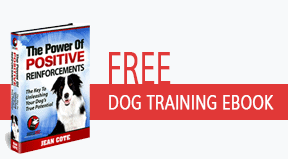 The best approach to dog training is to stimulate the dog’s pleasure center rather than take the negative non-dopamine route.